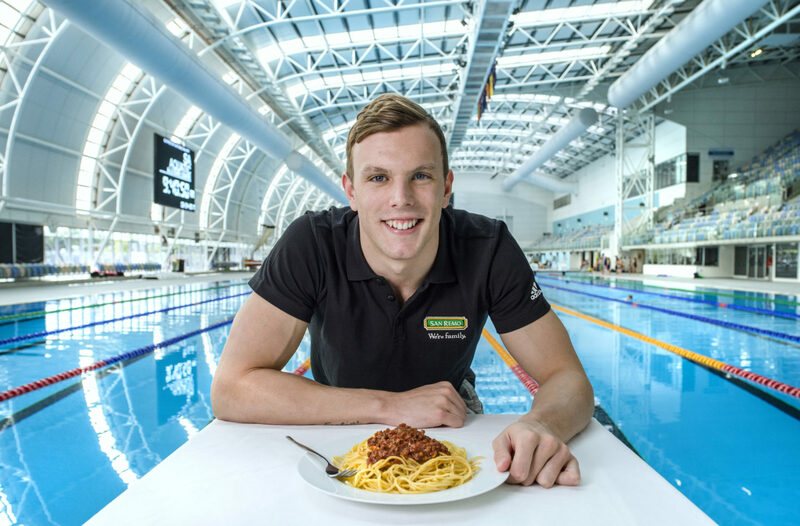 Family owned Australian company San Remo have today announced a five-year partnership with Olympic champion Kyle Chalmers, which will see the swimmer become a brand ambassador as he sets his sights on Tokyo 2020. Pasta and quality nutrition has always been a huge part of Kyle’s training schedule and the young swimmer is excited for the partnership. “As a family, we always ate a lot of pasta and these days it has become a big part of my pre-race routine that helps me perform to the best of my ability. In fact, I even had spaghetti bolognaise the night before my gold medal win,” explains Kyle. The team at San Remo are looking forward to working with Kyle over the coming years. “We are delighted to be working with such a driven and exceptional young Australian as he continues to grow his career and again push towards Olympic gold,” says Erik de Roos, Chief Marketing Officer, San Remo. The San Remo brand is centred on the importance of family, something that Kyle agrees with. “I’ve been lucky to have my family always support me during the highs and lows of my career, from exhausting training regimes to the elation after Rio 2016,” Kyle says. Kyle will be swimming in the 2017 Australian Championships starting Sunday April 9, as he continues to set his sights firmly on Tokyo 2020.